We are giving the tickets away on a first come first serve basis, so call NOW – lines close at 4pm today. 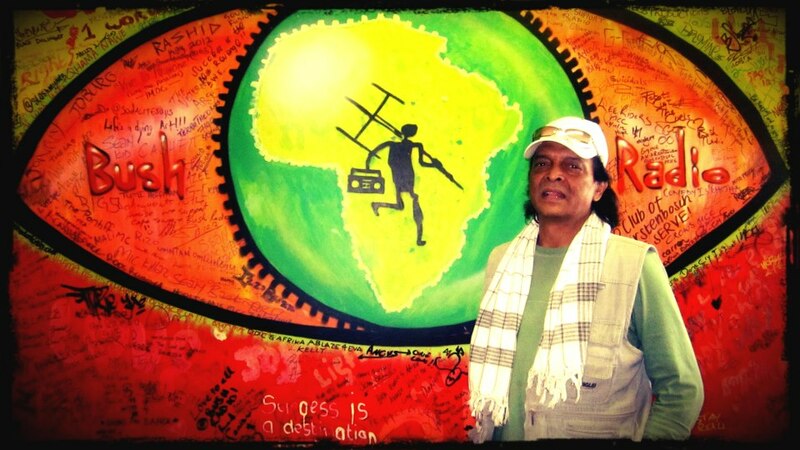 It was with great shock and sadness that Bush Radio yesterday learned of the passing of Cape Town legendary musician Zayn Adam – all of us would like to send our condolences to his family, friends and fellow musicians. Below is a copy of the story filed by the Bushradionews yesterday. Cape Town music legend Zayn Adams died on Sunday at the age of 67-years-old. He was born in 1947 in Salt River and when he was 15-years-old he joined the Golden City Dixes carnival show, however he was best known for leading the band called Pacific Express. One of Adams song that he will be remembered for is Give a little love. Bush Radio’s volunteer Doctor Victor Davids, said Adam was a soft spoke human being with a big heart and his passing leaves a massive vacuum. Davids said “I don’t know how we going to replace that as recently he was on stage at the Baxter theatre on the 14 February valentine’s day performing and doing what he loves the most and what he does best is to give of himself to other people”. “Rest in peace Zayn Adams your music will live in us forever” Davids added. 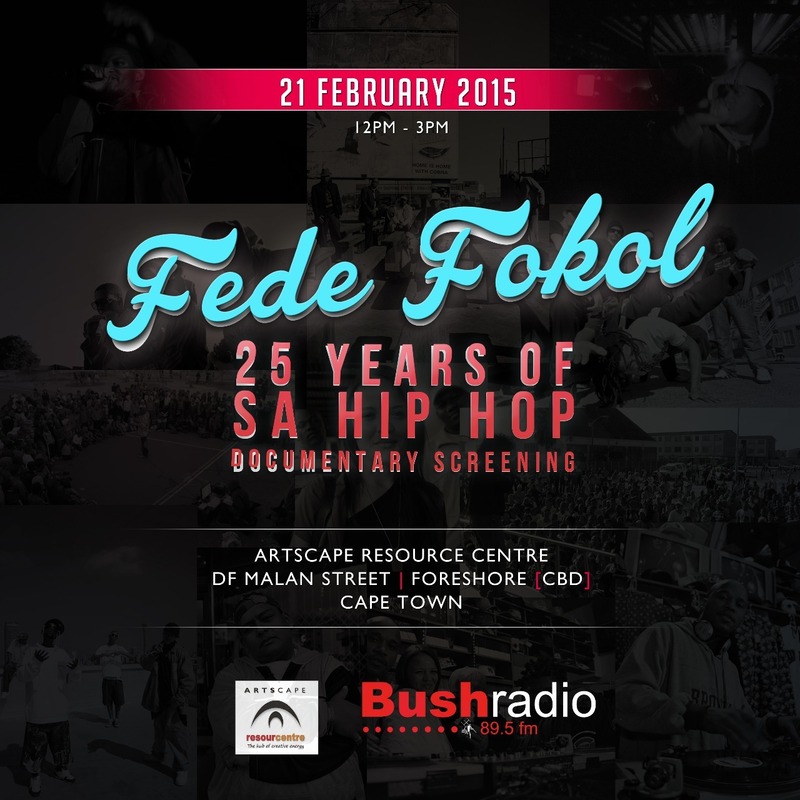 The Artscape Resource Centre and Bush Radio bring you a screening of Fede Fokol: 25 Years of SA Hip Hop documentary. There will also be rap performances by Ndlulamthi and SLK and spoken word performances. Fede Fokol – 25 Years of SA Hip Hop, is a documentary researched by Jo’burg hip hop activist Rashid Kay. It traces the roots of the artform in South Africa from the days of its inception in Cape Town through revered crew Prophets of the City all the way to where hip hop currently is now. 2. Developmental Years (1996 – 2002): The Le Club Era with the likes of Skwatta Kamp, Cashless Society etc. 3. Golden Years (2003 – 2008): Skwatta Kamp, Pitch Black Afro, H2O etc. 4. The New School (2009 – Present): Jozi, Driemanskap, AKA, Cassper, Youngsta, Reason, etc. Osmic, ProVerb, DJ Cleo, Slikour, DJ Lemonka, Simone Harris, C-Live, Krossword, AKA, Red Button, Notshi, Driemanskap, iFani and more. Screening will be followed by a discussion on the future of Cape Town hip hop.